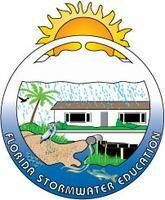 Sarasota County, Suncoast Technical College, and the Florida Department of Environmental Protection are sponsoring a FREE 2-day program to provide education to contractors, private and public employees who may be involved with inspection and/or maintenance of erosion and sedimentation controls for construction sites throughout Florida. The Course Manuals will be provided for each attendee to keep. Attendees should remember to bring pens, yellow hi-lighters, and sticky notes. There will be a proctored closed-book exam given on the second day of the class. Parking – Free in the designated public parking areas. Lunch will be on your own each day. Final sign-in and registration will be at 8:00 a.m. Class will begin at 8:30 a.m. and end at 4:30 p.m. on the first day. Also, on the second day we will begin again at 8:30 a.m.